The benefits of lunging your horse is that it prepares the horse’s body, mind and soul for focusing on the rider and readies him for work under saddle. Lunging correctly is the foundation of your horse’s education. Please first consider that lunging is so much more than aimlessly using up a horse’s excess energy. More, it is a tool to influence the horse’s gaits, transitions and way of going to develop cadenced, rhythmic suppleness throughout. Let me explain…. To start out, it will be assumed that you are already proficient at handling a lunge line. Secondly, that you understand how to safely outfit your horse in bridle and side reins suited for lunging. 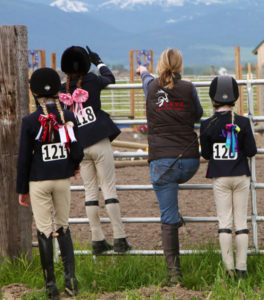 Additionally, that you use safe equipment – gloves for you, heavy lunge line and protective boots for your horse. 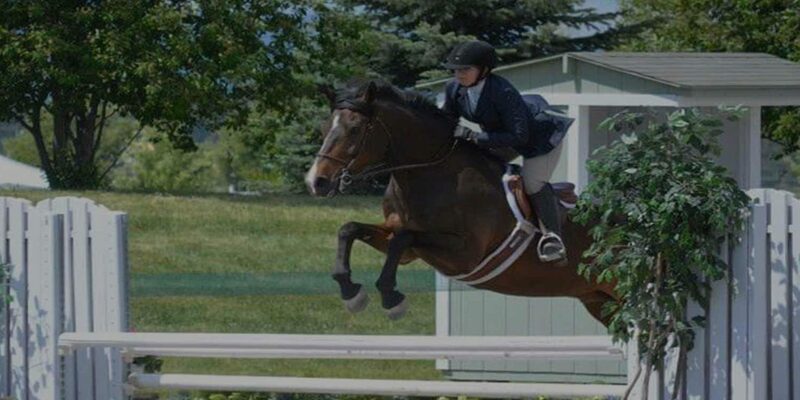 Since lots of horses have extra energy right off the bat, they will greatly benefit by careful lunging, without side reins, in an enclosed area. As you are helping the horse “let off some steam” your horse benefits from lunging exercises as you concentrate on helping your horse establish a cadenced gait and encourage responsiveness with transitions, regulating the speed and tempo. Since you are helping your horse with balance, he is less likely to hurt himself by careening around on the end of a rope. Also this way he will begin to tune into you. 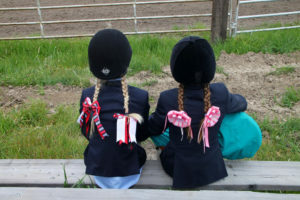 When the horse is settled and outfitted in side reins, then you are ready and that’s when the fun begins!! encourages suppleness through the bridle. Watching how your horse goes on the lunge line will benefit you, the rider, as you can now: Visualize what your horse’s body is doing as you ask for these same transitions, rhythm and balance under saddle, Utilize verbal aids for better manners on the ground and under saddle. If thoughtful attention is given to lunging your horse before a ride, you will soon notice a much more pleasant, balanced and prettier horse to ride. 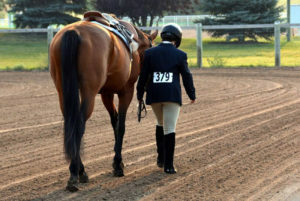 You and your horse can now sort through training issues on the lunge line without complicating things by your weight, legs and hands under saddle. Your horse will become physically and mentally fit by this careful, gymnastic lunging that makes his body and carriage beautiful. Also, your horse will understand you better and you will enjoy a great partnership together. You will become a believer in lunging your horse….and you’ll love it too! !